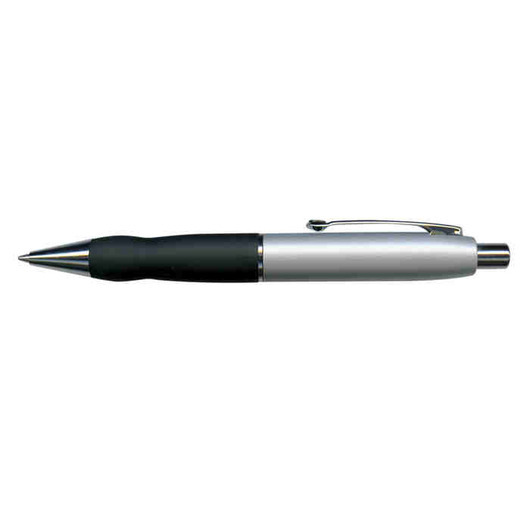 A high quality metal pen with an attractive design and high quality ink. 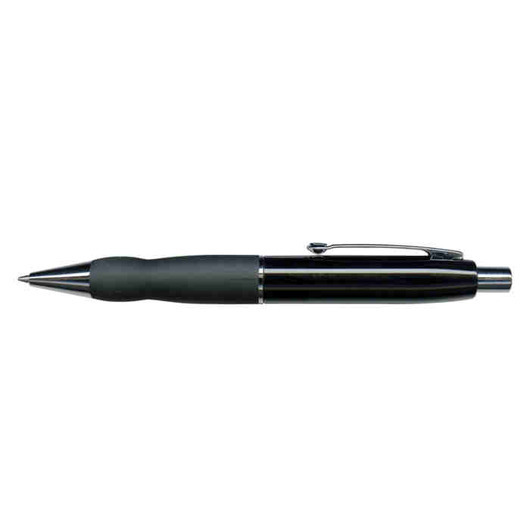 An elegant style pen that allows your hand to glide across the page with ease. 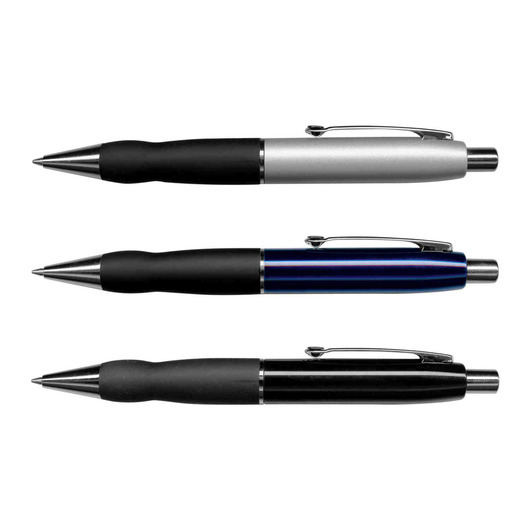 They're a retractable brass barrel ball pen with a lacquered barrel, soft rubber grip and stylish chrome accents. It comes with your choice of blue or black 1800 German documental ink and a tungsten carbide ball for improved writing quality. 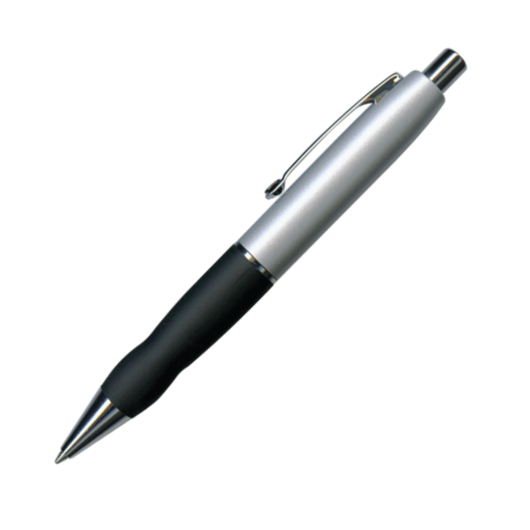 Laser engraves to a brass colour and can be presented in a velvet sleeve or gift box for an additional cost.